Greetings from Prague! I recently returned from an amazing trip to Helsinki, Finland and Estonia. I went to Estonia to shoot for an ongoing project on the post-socialist landscape. I'll post those pictures once I get the film processed and scanned. Finland just seemed like a nice place to visit. My usual partner in crime, Jp Widby came along for the ride. Here's some highlights from the trip. When researching things to shoot in Estonia I learned that V. I. Lenin actually lived in Helsinki for a while when he was on the run from the Czar after a failed revolution. I just had to track down his former residence, which you can see in the photo above. After two fairly bright nights in Helsinki it was time to catch a ferry across the Baltic Sea to Tallinn, Estonia. Here are some shots of the islands surrounding Helsinki. The last bit of land before heading out to sea! And now for beautiful Estonia. This was by far the highlight of our trip. We spent five days in the capital city, Tallinn and took several excursions out of the city as well. 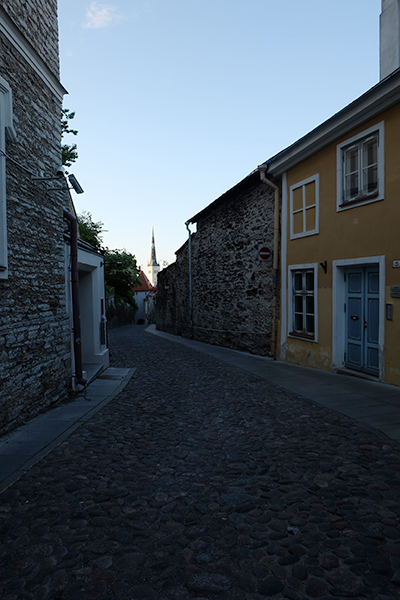 Tallinn is a wild and medieval city with surprises around every corner. It is both authentic, and visually stunning. I honestly think it has ruined other European cities for me. It is that cool! Jp at an abandoned Olympic park on the cost of Tallinn. The Soviets built it for the 1980 Olympic games in Moscow because they lacked a place for the rowing event. It is a classic example of "commy cement"
The building in the center of this image is the former Inn Tourist Hotel, one of very few places foreigners were allowed to stay during communist times. Naturally the KGB had an office inside and the rooms were reportedly all bugged. A soviet statue graveyard hidden behind an obscure museum outside of the city. On our last day in town we rented a car and went off looking for an abandoned missile base using satellite images from Google Earth. I have to admit, actually finding it was a bit of an ego boost! Here's a sneak preview of the missile base, but that's all you get! On our last night we found a micro-brew bar. One interesting thing about this city was that all of the good bars were unadvertised and some were downright hidden. One bar we visited on advice from a local had a key pad at the door and you had to have the code to get in. Finally some darkness on our late night walk home. The next morning we woke up brutal early and caught a ferry back to Finland. Once in Helsinki we had a coffee, crashed out under a statue for a while and then caught a plane back to Prague - that will be the focus of the next post. See you in July!